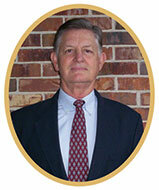 Jim, James W. Parrish, was born in Quitman, Georgia, but grew up in Greenville, Florida, a small rural community just below the Georgia border. He received a BA in History from Florida State University and an MA in Political Science from the University of South Florida. Parrish served in local government administration for over twenty years, including Administrator of Leon County, Florida, before starting his own business. James and his wife lived in the St. Petersburg, Florida area for thirteen years, but have resided for the past twenty-eight years in Tallahassee, Florida. Two of Jim’s great-great grandfathers served in the regiment. Monday, February 27, 2012 – Valdosta, Ga. – Lowndes County SCV Camp meeting. Lowndes County Museum 7 pm. 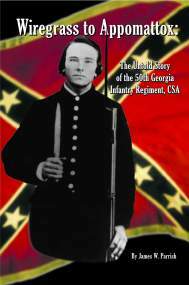 Sunday, March 4, 2012 – Bainbridge, Ga. – Commemoration of 150th anniversary of Decatur Infantry enlistment. City Park, 3 pm. Saturday, June 9, 2012 – Bainbridge, Ga. – 2012 Georgia Division Reunion, Ga. SCV, luncheon speaker. Time /location TBA. Friday, September 7, 2012 – Fox’s Gap, MD [Near Boonsboro] Historic Marker Dedication for the 50th Georgia and the 13th North Carolina at the Battle of Fox’s Gap [South Mtn] at 10 am.